No credit card required, prices starting from 99€ a month inc. VAT. 57% of shoppers abandon their purchase if their questions are not answered quickly. 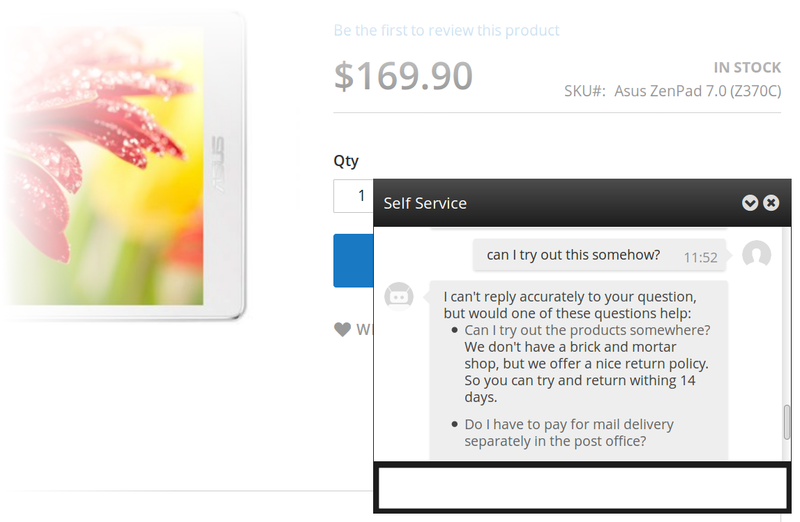 Smartti is able to answer the user's questions automatically. Customers can use whole sentences or keywords, and in both cases Smartti quickly answers the questions as it has been taught. 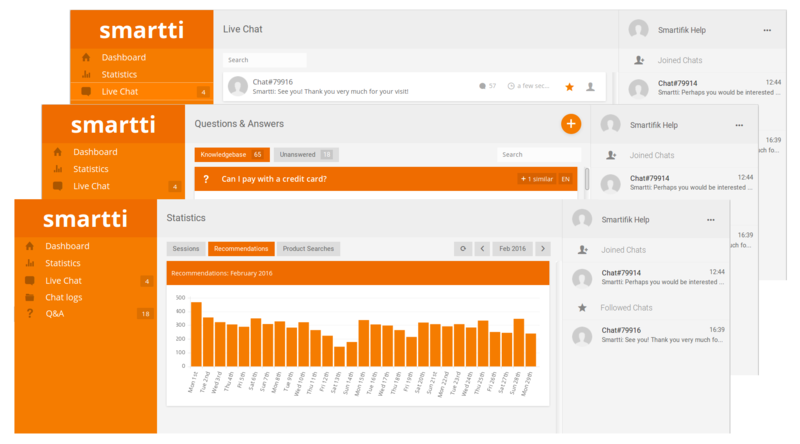 The user interface is easy to use as it resembles a traditional live chat window. Boost your search up to 40% with smart search. 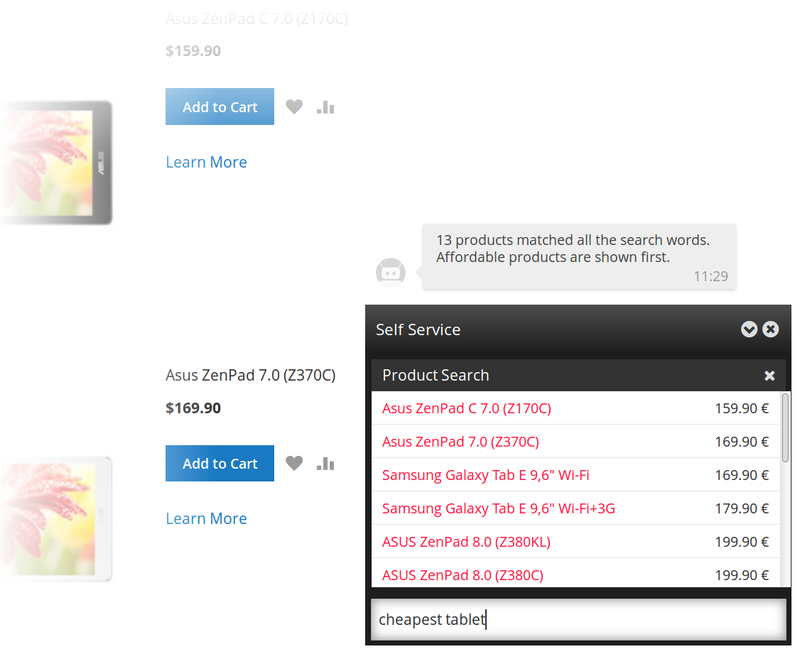 Customers can search for products easily and diversely, using both whole sentences and keywords. 5% increase in sales with personalised chat window recommendations. 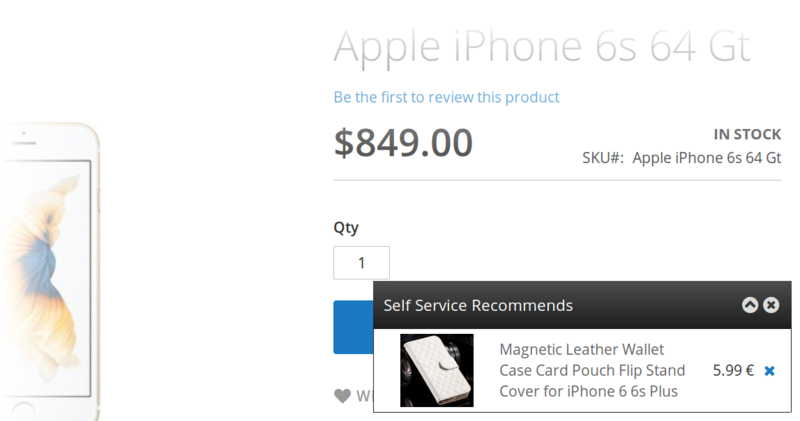 Smartti knows the products of your store and recommends them to the visitors intelligently. Chat window recommendations are always available but not in the user's way. They can also be used alongside your other recommendation extensions. You can analyse and modify Smartti's interactions with customers using its Control Panel. Statistics about chats, product searches and recommendations give information on the performance of Smartti. Chat logs offer a convenient way to read through past conversations and get valuable insights about your customers' interests. You can also join conversation in real-time using the live chat feature. The Q&A section can be used to teach Smartti how to answer questions. To get you started, we have collected 100 frequently asked questions that you can fill in to easily reduce your customer service workload. If Smartti encounters questions that it cannot answer well, it saves them to the Q&A so that you can easily teach the answers to it later. It takes only a few minutes. Why don't you start now? Simple signup: See how to signup. Simple installation: See how to install. We will give you 14-day trial. Signup now! Don't have Magento? It takes a day or two to create a plugin for your web shop. Ask for a plugin! Smartti gives your customers confidence to continue Shopping!